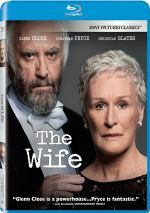 A drama that focuses on relationship and gender dynamics, 2018’s The Wife introduces us to acclaimed writer Joe Castleman (Jonathan Pryce) and his spouse of almost 40 years, Joan (Glenn Close). Set in 1992, Joe earns a Nobel Prize for Literature, an honor that results in even more praise for his career. Behind Joe’s success, Joan sacrificed her own ambitions. The film examines their shared life over the decades and how they developed. That seems like a pretty vague synopsis, mainly because Wife comes with a pretty vague storyline. While Joe’s Nobel offers a precipitating event of sorts, the movie prefers to look at a more global relationship, one that indulges in ample flashbacks. This means we see younger versions of Joan (Annie Starke) and Joe (Harry Lloyd) as they evolve and embark on their life together. These moments don’t crop up often, but they appear sporadically. The flashbacks usually become a distraction. While the movie needs to explore how elderly Joe and Joan wound up where they are, the use of younger versions feels like a cheap way to do so, and the story would work better without these sporadic departures to the past. Perhaps I’d feel less put off by these awkward shifts of time if I bought into Joe and Joan more, but they never turn into especially involving characters. Other than the occasional outburst, Joan tends to do little more than give Joe the stink eye, and Joe himself seems almost wholly unsympathetic. This becomes a notable concern. While we see Joe’s flaws, we need some sense of him as at least a slightly endearing character or else Joan and others look like stooges – why attach to this guy if he’s always such a jerk? I guess Joe’s talent intends to obscure his personality issues, but I still would like for Wife to give Joe at least a little more charisma and charm. Instead, he feels consistently off-putting, as he never turns into anything more than a bumbling, egotistical bully. I generally like Pryce, but I think he creates some of the role’s problems. As written, it feels like Joe should come with some positive character elements, but Pryce plays him like such a prick that we can’t appreciate these traits. This has the effect that Joan’s willingness to stick with Joe makes her look bad, and the movie doesn’t explore her choices all that well. We do eventually discern why Joan stays with Joe, but the film’s explorations lack much depth. Wife also needs a cliché twist to gin up interest. Rather than create a compelling look at the evolution of a long-term relationship and what it’s like to live in the shadow of a famous partner, Wife chooses a predictable plot choice, one that undermines much of the story’s potential. As I write this, Close stands as the favorite to win the Best Actress Oscar. Because of her long roster of excellent performances, I’ll feel happy if she wins, but I think Wife doesn’t provide her best work. This occurs not because Close doesn’t give Joan her all – indeed, whatever positives come out stem solely from Close’s efforts. However, the role’s limitations mean that Joan fails to turn into an especially compelling character, no matter how hard Close tries. All of this makes The Wife a disappointment. A thin, predictable character drama, it doesn’t create a three-dimensional portrait. 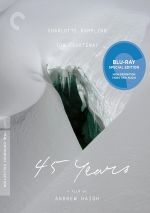 The Wife appears in an aspect ratio of approximately 2.40:1 on this single-sided, double-layered DVD; the image has been enhanced for 16X9 televisions. Even within the parameters of SD-DVD, this seemed like a pretty mediocre presentation. Sharpness was adequate at best. Close-ups showed decent delineation, whereas wider shots appeared fairly soft and tentative. Jagged edges and shimmering were only a minor problem, and I saw no edge haloes or print flaws. Colors seemed low-key, with an emphasis on teal and orange. These choices felt less than exciting, but the DVD represented them in a passable manner. Blacks provided reasonable depth, while shadows appeared fairly smooth. Ultimately, the image felt decent but no better than that. I also felt unimpressed with the bland Dolby Digital 5.1 soundtrack of Wife, as it failed to make much of an impression. The soundfield gave us mild ambience at most, without much use of the various channels. Music appeared adequate, as the score and songs came across with decent range. Everything here felt ordinary, so the audio added little to the presentation. A few extras fill out the disc, and Keeping Secrets lasts six minutes, 37 seconds. 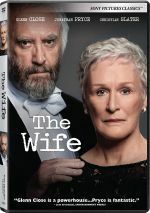 It features actor Glenn Close as she discusses her character and performance. Close offers a short but interesting overview. In Conversation spans 38 minutes, 11 seconds and includes a live panel with Close, director Björn L. Runge and actors Jonathan Pryce, Christian Slater, and Annie Starke. They talk about aspects of the production, characters and performances. It’s good to see the participants together and this turns into an engaging discussion. Finally, Q&A runs 16 minutes, 18 seconds and provides a chat with Close and novelist Meg Wolitzer. They cover story/characters, cast and performances and connected domains. Much of this feels repetitive after the preceding programs, but on its own, it works fine. The disc opens with ads for Puzzle, The Seagull, The Rider, Maria By Callas, Boundaries and The Happy Prince. We also get a trailer for Wife. As a character study, The Wife feels stagnant and trite. Despite a good cast, the movie lacks much real emotional impact. The DVD comes with acceptable picture and audio as well as a few bonus features. Though not a bad film, The Wife doesn’t blossom into anything memorable.